Sciforma 6.0 is a full-featured and easy to use enterprise Project and Portfolio Management (PPM) solution, giving you extensive insight into all your projects and resources across the enterprise. Sciforma 6.0 is entirely web-based, and can be used regardless of your geographical location, operating system, or browser, making it the ideal choice for organizations with single or mixed IT environments. Sciforma 6.0 rich graphical interface, multi-lingual nature, robust project management functionality, high degree of configurability, flexible licensing, and simple automatic deployment ensure a smooth startup and a rewarding journey to project management success. 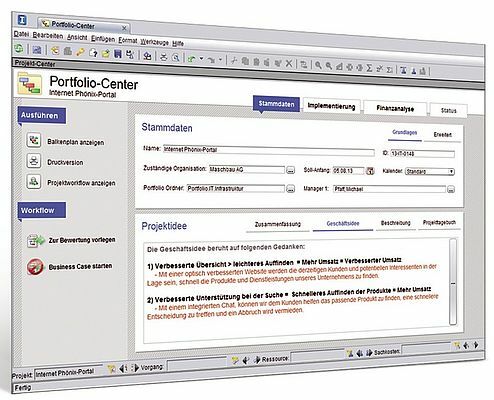 Sciforma 6.0 is based on Sciforma's 26+ years of project management and software development experience, and also that of hundreds of thousands of Sciforma 6.0 users worldwide.